Hungarian Prime Minister Viktor Orban has boasted that he has good relations with Vladimir Putin and opposes EU sanctions against Russia; he has also challenged the EU's immigration policy and slammed George Soros for his alleged attempts to support illegal immigration to Hungary; none of this seems to be in line with US vision for European policy. Viktor Orban is said to have told US diplomats that he wants to pursue a neutral foreign policy rather than bow to Washington's demands. According to The Wall Street Journal, Orban made the statement at a meeting with the US ambassador last month. He also pushed back US calls to tackle China's alleged cyber espionage and support Ukraine in opposition to Russia, saying that he wants his country to be "neutral, like Austria". Austria, like neighbouring Switzerland, is not a NATO member. The PM is reportedly wooing China to invest in Hungary's information infrastructure. He also allegedly opposes ministerial-level negotiations between NATO and Kiev due to his objections to Ukraine's new education law, which Budapest claims has reduced the opportunity for the Hungarian minority in Western Ukraine to learn their mother tongue. Orban's officials were also quoted as saying that he wants Hungary to adhere to its NATO commitments and intends to ramp up the number of deployed troops. The Hungarian prime minister, who is currently serving a fourth term, has faced criticism in Brussels over his alleged crackdown on democratic institutions and civil society. Specifically, he was scolded for his hard-line immigration stance during the 2015 EU migration crisis and, more recently, for targeting NGOs that help refugees and asylum-seekers. Perhaps the most famous example was the George Soros-funded Open Society Foundations; the George Soros-funded NGO was forced out of Hungary under the so-called "Stop Soros Act". Moreover, at a time when the US is waging a trade war with China and is trying to disrupt Russia's pipeline projects, Orban has voiced support for Beijing's Belt and Road Initiative and co-operates with Moscow in the energy sector and economically, in general. 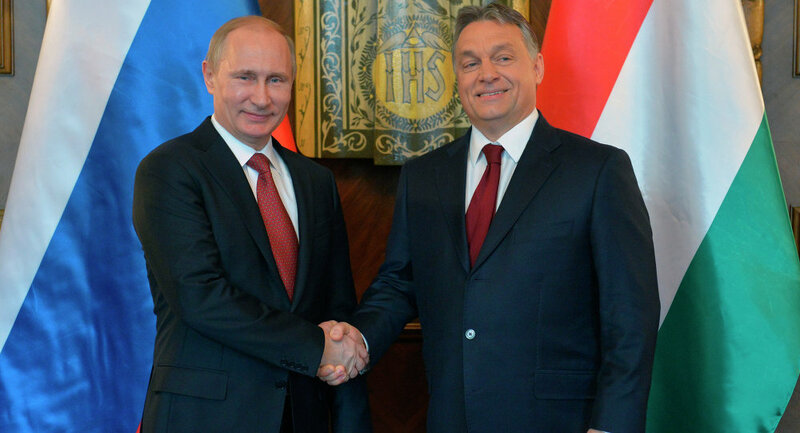 Political analyst Vladimir Shapovalov told Sputnik that Orban's position would not be left unanswered by the Western countries. He suggested that the prime minister would face "quite a tough reaction" and would possibly be targeted by "quite serious information attacks". Shapovalov did not rule out a "Venezuela scenario" in Hungary, claiming that Orban could be ousted from power following "repressive decisions" towards his country on the part of the US and its allies.